New York City’s museums aren’t just a place to while away your daytime hours—once the sun sets, many museums still have plenty in store. Inject your NYC nightlife with some culture this spring with these upcoming talks, parties, and events at the city’s top museums. Museums throughout the city offer ongoing events on Friday evenings, which let visitors enjoy the museum’s collections after hours along with music, special exhibition admission, drinks, and more. These events will continue this spring with the Rubin Museum of Art’s K2 Friday Nights, MetFridays at the Metropolitan Museum of Art, and The Frick Collection’s First Fridays. 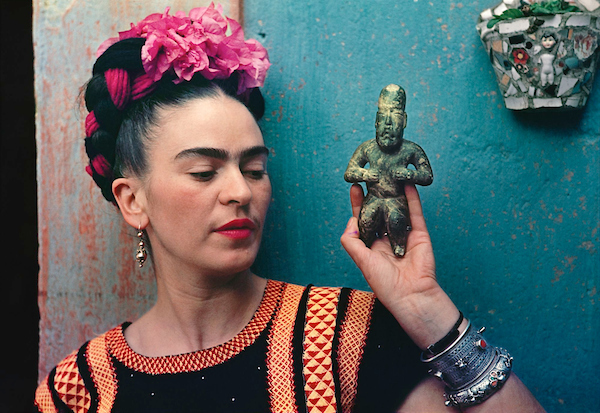 The Brooklyn Museum will continue their Target First Saturdays series April 6 with a free Frida Kahlo-themed event, which will pay tribute to the artist through music, performance, and art-making. The Tenement Museum, meanwhile, plans its festivities for Thursday evenings; the Late Night Thursday event on April 11 will include special tours, food tastings, and more. 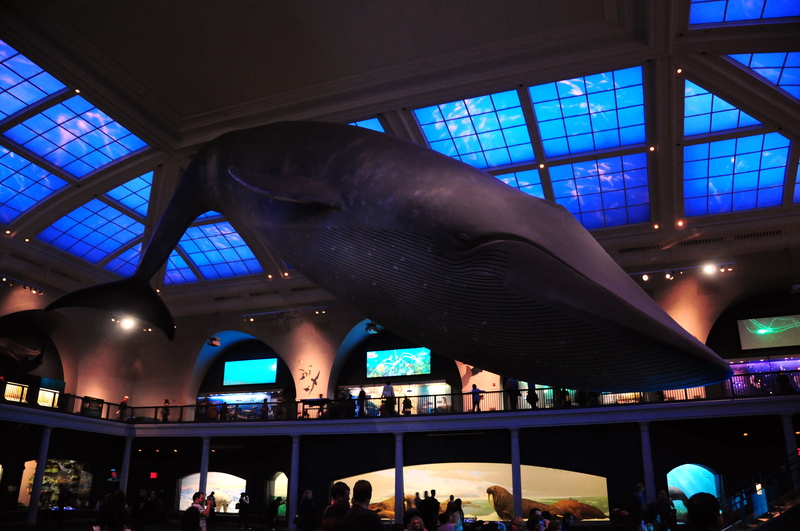 Younger science fans can even keep up their museum-going overnight with the American Museum of Natural History’s special Night at the Museum sleepovers, which will continue this spring on May 3, 10, and 17. 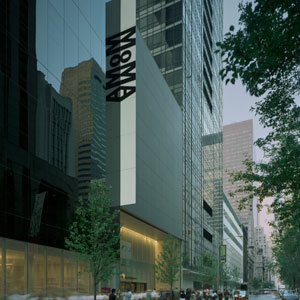 In addition to these special events, many museums also offer free admission one evening each week or month, including MoMA (Friday nights), the Museum of the Moving Image (Friday nights), the Neue Galerie (first Friday of each month), the Museum of Arts and Design (Thursday nights), and the Asia Society (Friday nights). Science lovers have plenty to look forward at the city’s museums in the evenings this spring. The American Museum of Natural History will offer a lecture on the “golden age” of star formation that took place 10 billion years ago April 8, along with a special SciCafe event May 1 exploring why dinosaurs matter. Single New Yorkers who are feeling a bit “intrepid” can try out the Intrepid Museum’s Attraction Lab April 16, which will feature interactive sensory experiments that deconstruct the science of attraction. Attendees can show up with a friend or partner in tow, or arrive stag for a shot at coupling up with a fellow science fan. Other upcoming museum events will explore the country’s politics and history through food, film, and more. The Museum of the City of New York will look back at the Vietnam War with a screening of the documentary No Vietnamese Ever Called Me N****r (April 9), which links the Vietnam War protests in the 1960s with the black liberation movement. 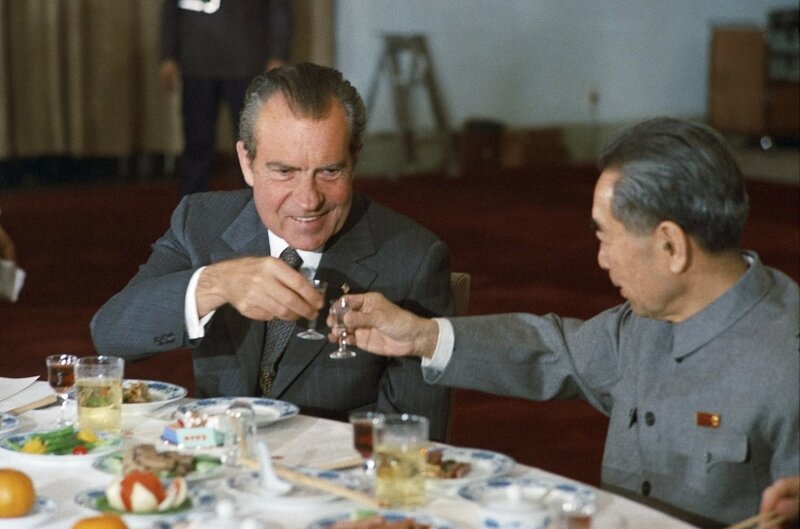 The Museum of Food and Drink will take a different sort of look at that era with an April 11 DinnerLab event, which recreates and reimagines President Richard Nixon’s 1972 visit to China. To learn more about a more recent part of our political foreign relations, head to the National September 11 Memorial & Museum April 22 for The ISIS Files, a look at the effort to gather over 15,000 pages of documents left behind by ISIS in Iraq that give an insight into the terrorist organization’s operations. De La Prelette Wriley (1809–1873), No. 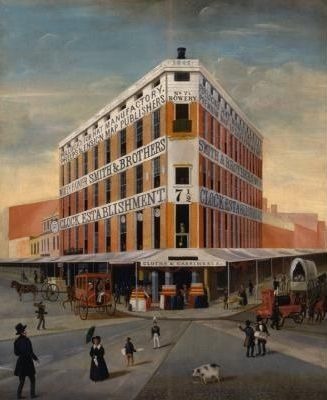 7 ½ Bowery, New York City, New York City, c. 1837–1839, oil on wood panel, Collection New-York Historical Society, 1936.799. Photo © New-York Historical Society. New Yorkers will also find events this spring that offer a deeper look at the city itself and its inhabitants both past and present. Architecture buffs can get insights into the city’s postwar skyscrapers, along with those in Portland and Chicago, at a talk April 22, while the Museum of the City of New York will consider the city’s relationship to tech and big business April 17. Other events will consider the city’s immigrant population; the Museum of Chinese in America will screen and discuss the 1960 documentary Forever Chinatown on April 18, as well as rare footage of the neighborhood during the midcentury, and an April 30 talk at the American Folk Art Museum will center on immigrant life in 19th century New York. The Museum of Food and Drink will examine the immigrant experience April 17 at an event that compares the immigrant populations of New York and London—including, of course, their food. Looking for something a bit more anti-establishment? Artists wanting to challenge the status quo can head to an event on disrupting institutional power—including the power of cultural institutions—on April 15, which will feature a conversation between artist Jill Magid and neuroscientist Leah Kellyto. Those who instead want a look into one of the historical power players behind these institutions, meanwhile, can also check out a screening of Citizen Lane May 7, a documentary whose focus is on art dealer and Municipal Gallery of Modern Art founder Hugh Lane (above). 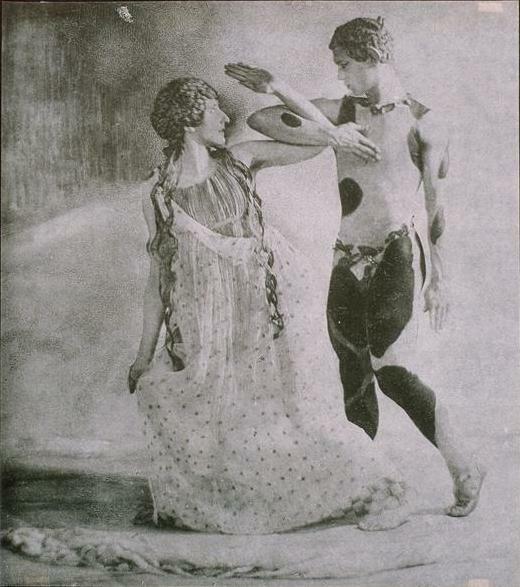 Adolf de Meyer, Lubov Tchernicheva as a Nymph with Vaslav Nijinsky as the Faun from Prelude à l’Après-midi d’un Faune, 1912. Platinum print. New York Public Library, Jerome Robbins Dance Division, Roger Pryor Dodge Collection. Image courtesy of the New York Public Library. Performing arts fans can rely on the city’s museums to give behind-the-scenes insights into some of the top performances of the season. Before the Golden Age musical High Button Shoes bows at New York City Center this May, get a primer on the musical—and how the past gets portrayed through set and costume design more generally—at the Museum of the City of New York April 15. Further down Fifth Avenue, the Guggenheim will continue their Works and Process series this spring, which spotlights upcoming performances throughout the country, including The Santa Fe Opera’s The Thirteenth Child (April 7) and Atlantic Theater Company’s The Secret Life of Bees (April 22). 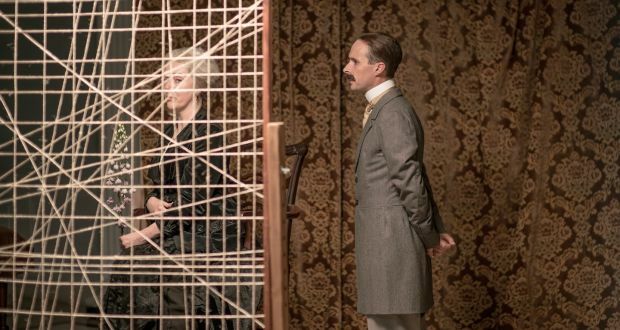 The series also includes special performances, including the U.S. premiere of HILMA, an opera on Swedish artist Hilda af Klint (April 15-16), and a commissioned performance inspired by the Ballet Russes and the current exhibition Hymn to Apollo: The Ancient World and the Ballets Russes (above), which is on display at NYU’s Institute for the Study of the Ancient World. That performance will take place April 28-29.